A couple of days ago I received my daily PowerTips email from PowerShell.com talking about how to get the Windows Product key via PowerShell from your local system. However, being that I had a little free time and really like this code, I wanted to enhance it to make it more robust by adding a few extra things here and there. By doing this, you can see just how easy it is to take some existing code and modify it to meet your own specific requirements. Retrieves the product key and OS information from a local or remote system/s. inaccurate data being returned for the Product Key. You must query a 64bit OS from a system running a 64bit OS. Name of the local or remote system/s. I also add some parameters to the existing code with a default parameter value for the Computername to point to the local machine. I also add some aliases to support the ValueFromPipeLineByPropertyName which allows extra pipeline support. You will also notice that I set the type for Computername to [string] which means that it will take a collection of strings for that parameter. I start off with a quick check to see if the system is reachable on the network and then perform a WMI query for some pieces of information regarding the Caption (Operating System name), Version and also the Architecture which will tell me if the OS is 64bit or 32bit which will be vital in determining what to do next for the product key. The rest of the code deals with the actual operations to query the specified system’s registry key based on whether it is a 64bit system or 32bit. This is important because if the system is 64bit, the DigitalProductId4 key value must be used instead of DigitalProductId, otherwise you will not receive the accurate data for the product key. The other part of the code performs the translation of the value of the registry key to find the product key and also using a .Net class ([Microsoft.Win32.RegistryKey]) which will allow me to perform a remote query of the registry. Lastly we need to make this into an object because this is PowerShell, after all. I use the New-Object cmdlet and supply a hash table of data that is saved to a variable. After the object is created, I opt to create a custom type name for this object to make it more unique which is then displayed to the user running the code. Ok, lets run this against a local and remote system and see it in action. Whoops! Forgot to power on the server… Lets try this one more time! Ok, that looks better. As you can see, not only is the product key displayed, but the computername as well as the Operating System and version are also displayed as well. This allows for better use of the code to see not only what the product key is, but what it also applies to as well. Hope you enjoy my updated take on this already great function! This also shows how you can take some existing code and modify it to your own requirements to accomplish a goal. 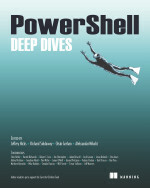 This entry was posted in powershell, scripts and tagged function, Powershell, productkey. Bookmark the permalink. You script gives us exact one ProductKey for all servers. How can it be?? Two different objects called “Product Key” ??? How we can resolve this issue?? Copy and paste the Script into the console. Now type Get-ProductKey and press enter. Abre Windows PowerShell como Administrador. Copia y pega el Script en la consola. Ahora escribe Get-ProductKey y presiona enter. I have tested this on Windows Server 2012 R2 (and was actually able to install Windows Server 2012 R2 as a VM with the key that was returned), and I have tested this on Windows 10 which will return VK7JG-NPHTM-C97JM-9MPGT-3V66T which is a generic key that anybody who has Windows 10 will get when running a key finder on their machine, see http://www.maximumpc.com/microsoft-changes-rules-for-windows-10-activation-for-the-better/ for more information on that. Thank you for providing the working try catch block. I attempted several of the other scripts I could find and I ended up with as many different and incorrect product keys. I was seriously considering a product key extractor third party tool until I modified the script with your try catch block. I have successfully tested the new script on two different systems Windows 8.1 Pro 64-bit and Windows 8.1 32-bit. Inside a VM I was able validate the modified script is getting the same results as iSunshare Product Key Finder. What’s going on here again? We have a server in the cloud that is giving us a licensing error. When I run your script it returns the following. Does this mean I do not have a Productkey installed? I got the script to run by using the following in Powershell. Bei mir wurde ebenfalls immer der gleiche Code angeziegt, dank deiner Arbeit habe musste ich aber nicht viel Zeit investieren, Danke! your script gives me something totally different. I run ‘produkey’ software and it’s gives me something else. Your script turns up the SAME product key for multiple machines that I run it against. What is up with that brother! I don’t understand what you mean by “Dot Sourcing” normally with these scripts I download them run them and then get my report. But with the product key script it just doesn’t return any data or reports when I run it. Based on my tests this is not correct. This is great and worked once I saw the note about ..\thescriptname. Thanks! I know this is a pretty old post, but I’m confused. I enter a product key to activate windows, and it works. Then I run this script, and it returns a different value for the product key. What’s going on here? Hi, i tryed your code and it worked great. I am kind of new to Powershell and I have a question? How can i get this script to check if the productkey is active and return a TRUE/FALSE response? When i run your script, the first one, i get no output. I am only trying to retrieve info off the local computer. I have tried . .\get-productkey, . .\get-productkey mycomputername, . .\get-productkey mycomputername, . .\get-productkey -computername mycomputername. I have also tried it without the dot sourcing. Please Advise. You’re close. First dot source the script and then run the function. Same here, when I run the script, I get no output at all (no errors either). Now I am getting the wrong key though. I queried 3 different systems and they all came up with the same product key. Two of the systems were Windows 2008 R2 servers and one is a Windows 7 box. I’m having some issues getting results from this. I have it running seemingly fine, and am passing it a list of computers from a file. It gets parsed ok, and since some of the names aren’t on the network currently, they come up ‘unreachable’ , which is to be expected. However, none of the other names that should be returning results actually are returning a key. I get “Exception Callin…” in the Product Key column, and that’s it. Seems like it’s catching and truncating the exception to fit in my PS window, even when I output to a file via “| Out-File keys.txt”. This is on remote machines. If I run it with just the local name it seems to get a key, however that is truncated as well. Being rather new to the PS world, I’m not really sure how to prevent such truncating, nor what the exception might be likely to say. Any advice on this, or the Exception Calling problem? Executing it bit by bit on a few different names yields the ‘Exception Callin..’ is likely ‘Exception calling “OpenRemoteBaseKey” with “2” argument(s): “The network path was not found”, which is a bit more descriptive of an error. Figured it out. The Remote Registry service was not running. Cool! Glad you were able to figure it out! Having some issues running this. I have it running just fine, and am passing it a list of computers from a file. It gets parsed ok, and since some of the names aren’t on the network currently, they come up ‘unreachable’ , which is to be expected. However, none of the other names that should be returning results actually are returning a key. I get “Exception Callin…” in the Product Key column, and that’s it. Seems like it’s catching and truncating the exception to fit in my PS window, which even when I output to a file via “| Out-File keys.txt”. Being rather new to the PS world, I’m not really sure how to prevent such truncating. Any advice on this, or the Exception Calling problem? Hi Boe, thank you for all your hard work. I got this to work today in a domain environment but I am not sure why the Product Key is actually different than the license key on the box. Now, a product key finder will return the key on the box versus the Product Key that Get-ProductKey finds. Maybe I am missing something simple here, but are they supposed to be different? The result is an empty txt file. Running this as a script will not work. You have to dot source the function into the session. Then run the function to get it to work. Executei o script de forma correta, o resultado não está correto. t execute on the system. Please see “get-help about_signing” for more details..
You will need to unblock the file,either via the properties of the script or using Unblock-File in PowerShell V3. I ran the script correctly, the result is not correct. Why doesnt the script work for me? I set set-exec pol unrestricted run the ps1 file and get the warning to allow Run once and returns nothing….. There is a function in the .ps1 file that needs to be dot sourced before it will work. When I run this on some PC’s I get this “Exception calling “OpenRemoteBaseKey” with “2” argument(s): “The network path was not found….” where the product key is supposed to be. Any Ideas? When I run the script it asks me if I want to run. Then I run once and it doesn’t output anything. Just puts me right back in the directory I started. Hi, I have run your script on windows 7 64bit as “PS C:\Scripting> .\Get-ProductKey.ps1” and I get no report back. Tried it with -Computername… and still got no results. I have also tried it on other windows 7 32bit comps and did not receive any results. This is actually a function that resides in the script, so you need to dot-source the script before using the function. Hmmm… When running against 64 bit systems, you need to make sure that you are running it from a 64 bit system. Also, while I don’t think it should matter, are you also running it from an Administrator prompt (run as administrator)? Weird, I can download it just fine. What problems are you seeing with the download? Can you provide the syntax that you are using to run the code? Also can you let me know how you are running it (elevated prompt, OS, etc…)?